One of the contributing elements towards excellence of care provided by healthcare services (hospitals, primary care centers) lies in the adoption of information systems that support the clinical activity of professionals involved in care provision (physicians, nurses, healthcare technicians) in various services (Emergency, Inpatient, Surgery, Outpatient) and the management activity (management, service directors), so as to achieve a complete and integrated overview of all processes. ALERT provides an integrated solution with applications that offer unique features and excellence and which have already been implemented in several healthcare services across the world. Using ALERT® represents Operational Advantages for healthcare units that have adopted it in relation to those that have not. 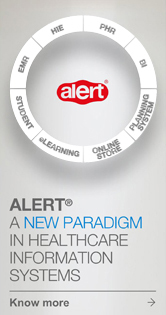 Due to the enormous amount of structured information generated in ALERT® applications, a Business Intelligence application (ALERT® BI/ALERT® DATA WAREHOUSE) is available to Support Decision Making when managing different healthcare services (Board of Directors, Clinical Management, Service Directors). This application allows for the analysis of activity through quality and production indicators, which make it possible to meet the daily internal and external needs for reporting to authorities and regulating bodies (Ministry for Health, Health Authority) and promotes an easier implementation of improvement processes that lead to a better quality of services provided, and improves resources generally. This translates into a Competitive Advantage for the facilities that have already adopted ALERT®. According to the Analytical Study of ALERT® PAPER FREE HOSPITAL it is estimated that this solution brought €3.86 million (4.95 million US Dollars) worth of Implementation Benefits to Espírito Santo Hospital in Évora in 2010. This would have been due to a global cost reduction (with human resources in archiving services, reduction in paper usage, cost reduction with imaging exam printing, etc.) and to an increase of estimated activity, such as Outpatient appointments. The hospital performed 125 000 appointments in 2006, 176 624 appointments were registered in 2009 and 200 000 were expected for 2010. 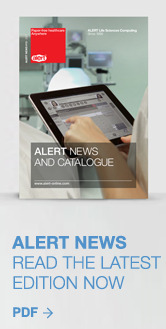 The Emergency Services of Santo António Hospital in Porto, Portugal, is another example of Competitive Advantage achieved with the adoption of ALERT® software. It was considered the best Emergency Services of Portugal during a nationwide satisfaction questionnaire submitted to its patients. With ALERT®’s help, Santo António Hospital also attained the ISO 9001/2008 quality certification distinction.